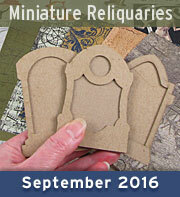 ﻿	Alpha Stamps News » Steampunk Mermaids & New Beachy Kit! 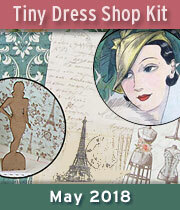 Steampunk Mermaids & New Beachy Kit! 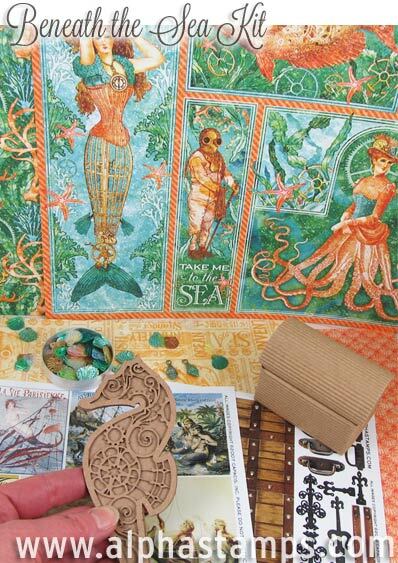 The June kit is “Beneath the Sea” with mermaids and treasure chests and sea creatures! 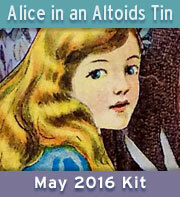 I started this kit idea with the combo of steampunk and mermaids from the Graphic45 Voyage Beneath the Sea collection. 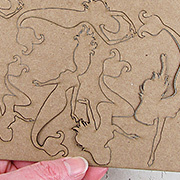 Next up: the new Steampunk Seahorse! My own creation! A solid back with an overlay… kind of a Victorian-flourishes-and-steampunk-gears melange. 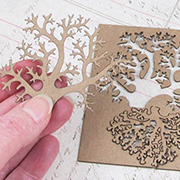 It’s laser cut from sturdy, medium-weight chipboard. Note: The Repubbliche Marinare 12×12 Paper Pad is a good substitute for the sold out kit. 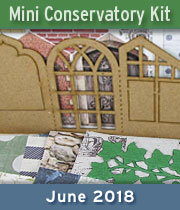 And, of course: a new Mini Kraft Treasure Chest to use that new Treasure Chest Trims collage sheet with. 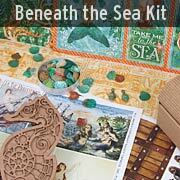 To get you inspired to play with the Beneath the Sea Kit, we have samples created by two guests: Rhea Freitag and Teri Calia! Isn’t that beautiful!! 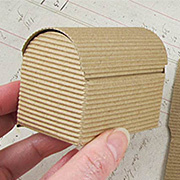 Rhea began with the new 3D Treasure Chest: A set of flat, heavy chipboard pieces to make a 3D treasure chest. Double-thick around the top of the lid, to accommodate gluing on metal hinges (or more area for attaching paper hinges). 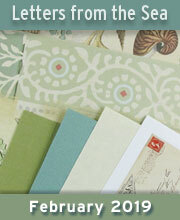 Rhea used all 3 sizes of the paper pads from the Voyage Beneath the Sea collection. Then a bunch of images from collage sheets that manage to look more dreamy and inviting than you’d think metal steampunk would be. 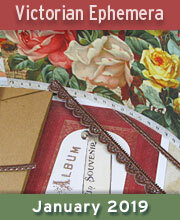 And, of course, real metal embellishments and bunches of dresden borders. 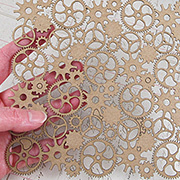 Plus some faux gears, from the new 6×6 Gears Texture Sheet. 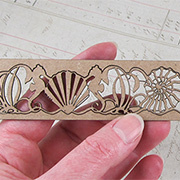 See all of the parts in the Steampunk Mermaid Box Supply List. 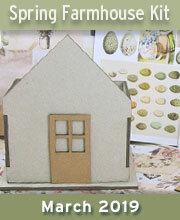 Visit Rhea’s Blog for more details and photos. Nicely done! 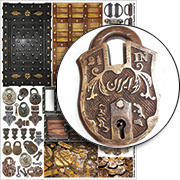 Using a similar color palette as Rhea’s chest, Teri mainly used items from the kit, including a Mini Kraft Treasure Chest, covered in a dark treasure chest image from the Treasure Chest Trims Collage Sheet (plus metal chains, a skull and filigree formed into curved handles). 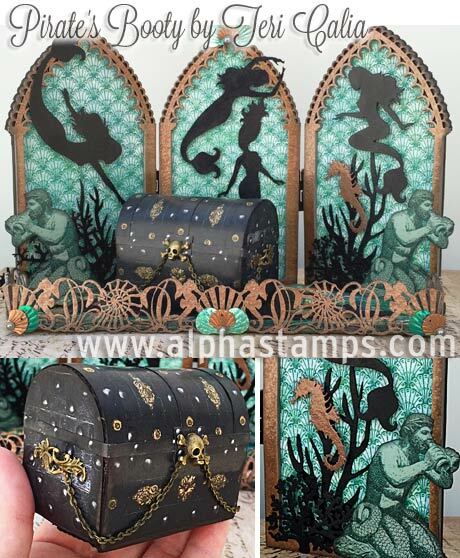 And that background triptych is simple yet stunning: with mermaids from the new Chipboard Mermaids Miniatures painted black, against paper from the Voyage Beneath the Sea Scrapbook Paper. Plus the Under the Sea Chipboard Border painted copper as a low fence/border across the front of the enclosed space. 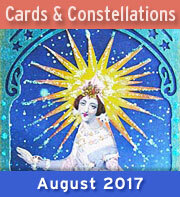 More info in Teri’s blog. 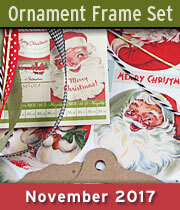 Highlights of Today's New Goodies - ALL on Sale! Hooray for the Beneath the Sea Giveaway! Today’s Giveaway starts with… THE NEW KIT: Beneath the Sea! To enter the Beneath the Sea Giveaway drawing all you have to do is leave a comment BELOW on this blog post TODAY or TOMORROW (the deadline is 11:59 pm PST, MONDAY NIGHT, May 30, 2016). 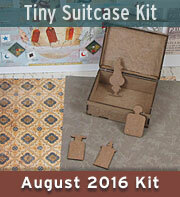 AND tell me: What will you make with the Mini Kraft Treasure Chest or Steampunk Seahorse (both in the kit)? After midnight, I’ll randomly pick the winner (via Random.org). So make sure to check back to see who won! And check your mailbox on Thursday morning for the next Giveaway and Newsletter! 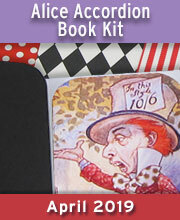 Hey, who won the Queen of Hearts Tin Book Giveaway? That would be Barb Macaskill! Congratulations! Check your email for more info. 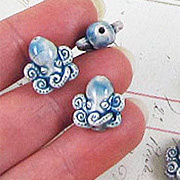 I will either make a pendant for a pearl necklace or a pin using the steampunk seahorse. It looks to be a perfect size for either. May 29th, 2016 at 8:27 am. 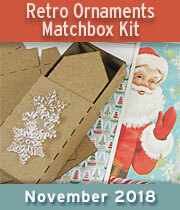 I plan to make a few more projects using this amazing collection so these goodies are on my wish list!! I would add an under the sea treasure chest to my seashell (which is 14″ X 16″) with lots of jewels falling out of it!! Email sent for winning the Hearts prize package!! So excited! Thank you SO much!! Off to browse the store yet again! Have a great long weekend! May 29th, 2016 at 8:31 am. Somehow I see these delightful creatures flying, and that is I would do!! May 29th, 2016 at 8:34 am. My daughter loves steampunk and works at a steampunk convention – she would love the mermaid box…. Ooh! Mermaids! And Steampunk! You can’t go wrong with this one. I have been yearning after the G45 Under the Sea paper for weeks now. Such beautiful colors. I would have to make a Steampunk treasure chest surrounded by guardian mermaids lol! I also love the panels with the mermaids! 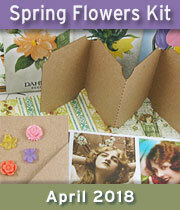 And I am excited about the free kit so now I have to go shopping! May 29th, 2016 at 8:38 am. What a beauty this seahorse!! He would be in a lovely watercolor picture surrounded by lovely kelp of ribbon. Fun! Thanks for the goodies. May 29th, 2016 at 8:42 am. OMG – love the mermaid goodies. I especially like the sea shells sequins. I have used all mine on the many mermaids that I have made for family and friends. Hope to win, but most like will order more anyway. May 29th, 2016 at 8:51 am. I love this theme! Both the treasure chest and seahorse would be a fabulous addition in my Under the Sea lantern I recently created with G45 papers! May 29th, 2016 at 8:56 am. May 29th, 2016 at 8:58 am. I really want to do an underwater mermaid scene! May 29th, 2016 at 9:04 am. I love the treasure chest and definitely would make it up as an old, rusted chest recently brought to the surface after being found many fathoms below! May 29th, 2016 at 9:15 am. Love this pretty kit! 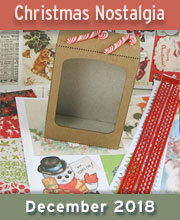 The Mini Kraft Treasure Chest would be a perfect gift box for a special little present to my daughter! May 29th, 2016 at 9:16 am. 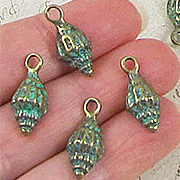 I’d make a bracelet with the shell and seahorse charms. May 29th, 2016 at 9:20 am. LOVE the Mermaid Box and Treasure Chest !!!! 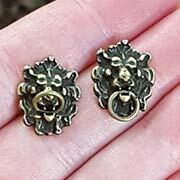 Great Giveaway, would love to win !!!!! May 29th, 2016 at 9:22 am. Ssh! It’s a secret! I AM a mermaid, and true to form, I love to make beautiful and interesting things- all day long! With these lovely ingredients, I would make a miniature Mermaid’s Boudoir! 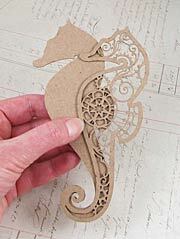 I would make a layered 3D scene with the steampunk seahorse goodness. 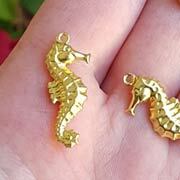 The intricate design of the seahorse is wonderful. May 29th, 2016 at 9:29 am. Delicious! Love every single thing about the Mermaid Box, and so would my friend Deb in Toronto, a lover of all things mermaid! It would be perfect for her, she’s also a steampunk queen! May 29th, 2016 at 9:32 am. May 29th, 2016 at 9:35 am. We are remodeling our bathroom in Nautical theme. I would love to make a treasure box to go in there. the colors are perfect! May 29th, 2016 at 9:40 am. 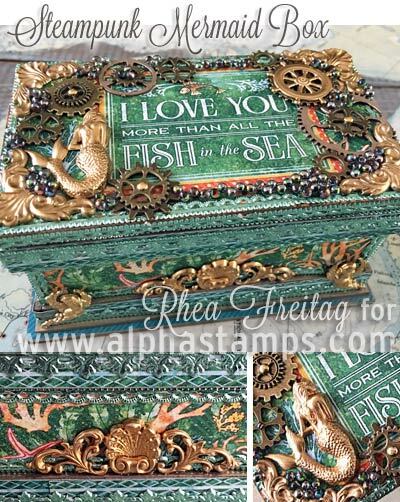 I think I would make something similar to Rhea Freitag’s Steampunk Mermaid Box, but with more steampunk items or maybe I will add Cthulhu to it. May 29th, 2016 at 10:02 am. May 29th, 2016 at 10:11 am. 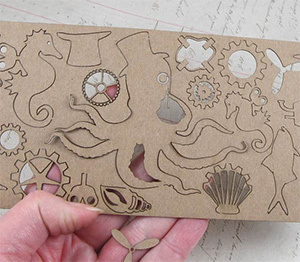 I see a variety of shadowbox themes that I would solder glass over to seal for posterity…the seahorse could be used to make a pendant!! May 29th, 2016 at 11:27 am. Oh, wow! I am in love with ALL the items in this giveaway. Sure would be happy to be the winner. May 29th, 2016 at 11:46 am. I would make a mermaid/pirate display to go along with summer book decorations. Thank you for another opportunity! May 29th, 2016 at 12:12 pm. Would make a steampunk project for the first time! May 29th, 2016 at 12:39 pm. I think I would make a deep shadow box with everything and have treasure spilling out of the chest with all the mermaids and seahorses looking on! May 29th, 2016 at 12:52 pm. 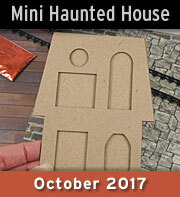 I absolutely love the projects made, this looks so gorgeous and the theme is definitely one I’d like to play with! May 29th, 2016 at 1:07 pm. 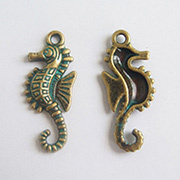 I am all about steam punk and I love the seahorse. May 29th, 2016 at 2:31 pm. I love all the mermaids and sea creature themes!! Would love to win this giveaway! May 29th, 2016 at 2:56 pm. May 29th, 2016 at 3:04 pm. What a great kit! 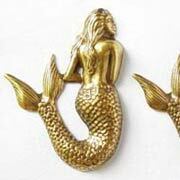 I’m thinking up a dollhouse mermaid room that this would fit perfectly into as wall and furniture decorations! Love it!! May 29th, 2016 at 3:11 pm. Oh how exciting! I want to make a magical sea faring trunk! May 29th, 2016 at 3:18 pm. I want all of this! I need to be figuring out an order! May 29th, 2016 at 3:29 pm. Wow, that is one fabulous kit! 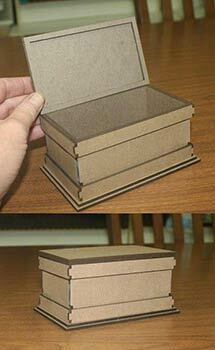 I would make a birthday giftbox for my sister out of the little treasure chest for my sister. I don’t know if it is big enough for a giftcard but I would put a money order or some cash in it if it isn’t. She would love that. May 29th, 2016 at 3:33 pm. 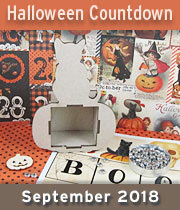 Wow, love the under the sea theme – seahorses, coral, etc, fun to make cards, shadowbox, etc!!!! Thank you for the opportunity to enter :) Have a blessed Memorial Day! May 29th, 2016 at 3:47 pm. I love this so much! I have a beautiful mini art quilt with a mermaid scene. May 29th, 2016 at 5:04 pm. Oh this would be so perfect for a scrapbox project I’m working on with photos I have from a aquarium trip. Thank you for the opportunity to win. I’m keeping my fingers crossed! May 29th, 2016 at 5:10 pm. I’m thinking an under the sea shadow box! I love the pieces in the mermaid kit! May 29th, 2016 at 5:15 pm. what a swimmingly great giveaway!!!! May 29th, 2016 at 5:21 pm. Oooooh- I love this set! My daughter loves mermaids, I would make a beautiful scene for her. May 29th, 2016 at 5:29 pm. A gift for my son and “daughter” as they are both avid diver’s. What could be more perfect! May 29th, 2016 at 5:48 pm. I will definitely use the Steampunk Seahorse to make a collage for the office manager at the apartment complex where I live. She loves the sea as I do, and since she will be leaving us at the end of July, these products will make a perfect parting gift. I have several things in mind, including a sea scene, and perhaps a keepsake box or chest in which to keep cards from the residents on her retirement. What a wonderful opportunity. Being on limited income, Imdo not get to buy all the treasures I would like, so a win here would help me make a wonderful gift. May 29th, 2016 at 6:05 pm. May 29th, 2016 at 6:25 pm. Since I ma a scuba diver, I’ll make scuba scenes. Thank you. May 29th, 2016 at 7:31 pm. May 29th, 2016 at 8:39 pm. I adore the steampunk seahorse. May 29th, 2016 at 9:44 pm. I love all the steampunk possibilities! I would make a little underwater garden in a fishbowl! May 29th, 2016 at 9:53 pm. This spring I saw the Mermaid water show (with real mermaids)in Kissimmee, Florida. Been performing since the 50s. Lovely. 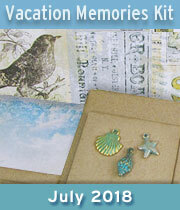 I would use the kit to scrapbook my trip. May 29th, 2016 at 11:41 pm. Love the idea of combining an under the sea theme with steampunk, add in the G45 papers and it is a real winner. May 30th, 2016 at 4:46 am. So love this under the sea and steampunk idea-I would definitely find a way to have one of the mermaids ride the sea horse! I would like to add a few real shells and gears and be done!! May 30th, 2016 at 6:59 am. I would make a wonderful memory box. May 30th, 2016 at 7:08 am. I *love* that steampunk seahorse! I’d love to do a shadow box or maybe even incorporate it onto an embroidery piece. I’m seeing it surrounded by bronze, silver, seafoam green, coral, and a bold ultramarine blue. May 30th, 2016 at 7:52 am. May 30th, 2016 at 8:28 am. Don’t know what I’d make ? It would sure be great fun thinking of ideas. Thanks, Alpha Stamps for the chance to win. May 30th, 2016 at 9:22 am. Summer and Mermaids and G45 Steampunk, Oh My!! 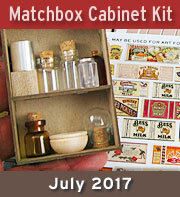 Put them together with a splash of Treasure Chest and Johnny Depp and you have an extraordinary adventure…love both our “inspirational items,” and the kit and the giveaway goodies are FABULOUS!!!!! May 30th, 2016 at 9:32 am. I love the combination of mermaids and steampunk! I would make a fabulous mermaid trunk and I also plan to make my own version of the Steampunk Mermaid Box. May 30th, 2016 at 9:48 am. I would have the treasure chest spilling out its treasure over the ocean floor! May 30th, 2016 at 9:56 am. Steampunk is my fav. Would love to make the sea treasure chest. Big thanks for a chance. May 30th, 2016 at 1:13 pm. May 30th, 2016 at 1:23 pm. I would make a sweet treasure chest over-flowing with lost pirate booty. The gorgeous steampunk seahorse would keep it safe for the mermaids to enjoy. I will make this scene on a tray to decorate our guest bath. 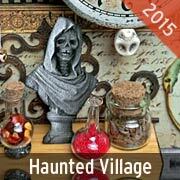 I would add handmade soaps and pillar candles wrapped with burlap ribbons and the shells and charms from the kit. Oh! I love it! May 30th, 2016 at 6:58 pm. My friend made a fabulous Mermaid configurations box and I would love to have the goods to make an equally fabulous mermaid themed box and treasure chest to display with her project. And I love to throw steampunk gears on just about everything! Please pick me! May 30th, 2016 at 7:47 pm.